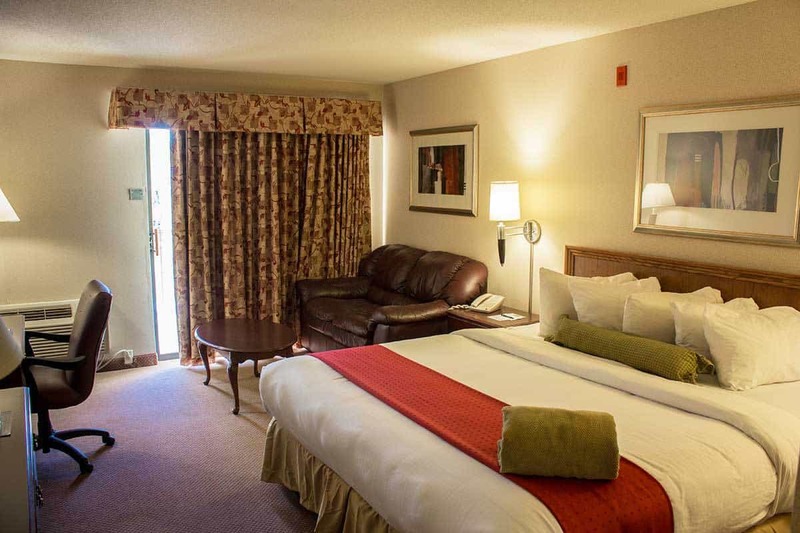 These spacious rooms accommodate a king size bed for plenty of room to relax. Room has a microwave and refrigerator. Enjoy a free breakfast, and please use any of the great amenities our hotel has to offer, including indoor pool/whirlpool, Brewski’s Pub & Grill and free wireless internet throughout the hotel. Forgot your computer? No problem, there is a computer with internet available free for your use in our lobby. For prices, availability and group rates, call us or book online.